A nice bike from a good batch. Recently sold through Ebay. MN 7144 is built in Reynolds 531DB tubing and has the un-drilled Prugnat 62D long spearpoint lugs of the era. 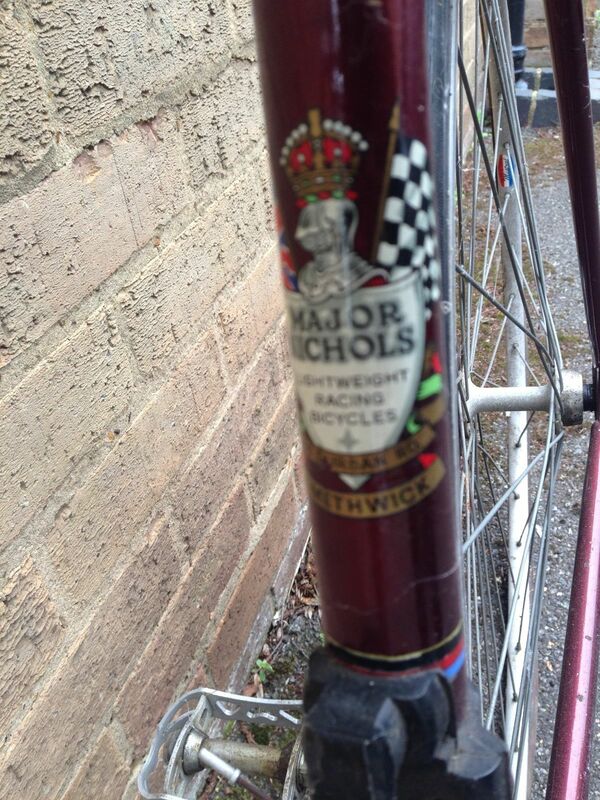 As quite normal for bikes intended to race and train on in a club context, it has mudguard eyes. 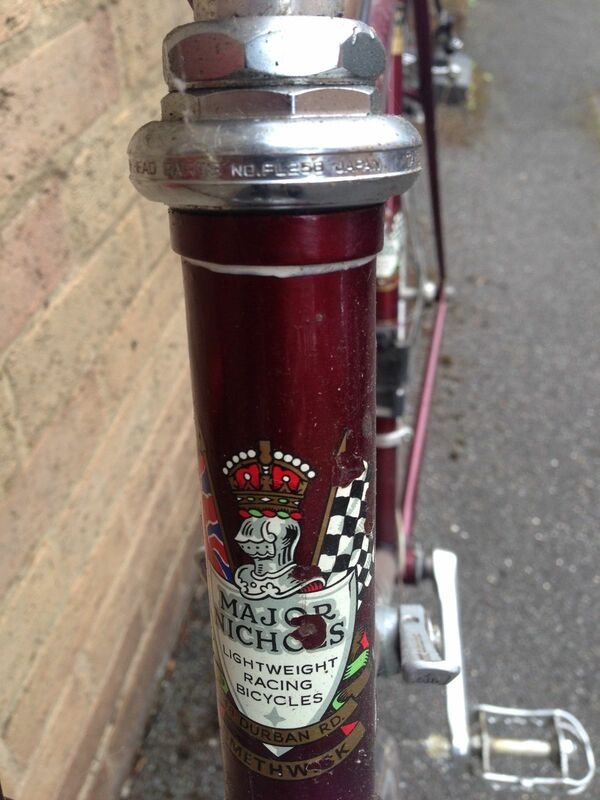 The fork crown is rather nice and has not been identified yet but has been seen before. 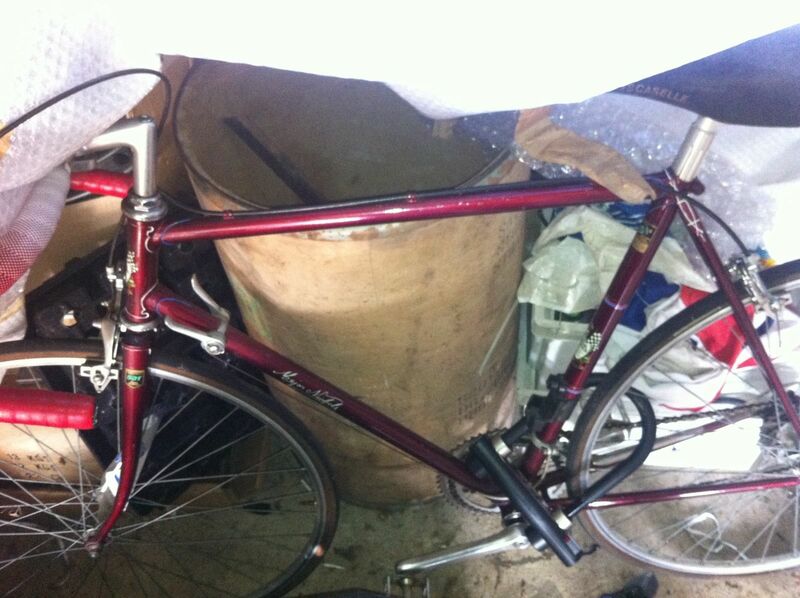 A Zeus/Cinelli style semi sloping top perhaps, on his usual sickle shaped forks, but better photos are needed and perhaps the new owner will oblige! Please contact us! The frame has a full wrapover seatstay with the double fishtail motif, reinforced curved seatstay bridge and curved chainstay bridge. 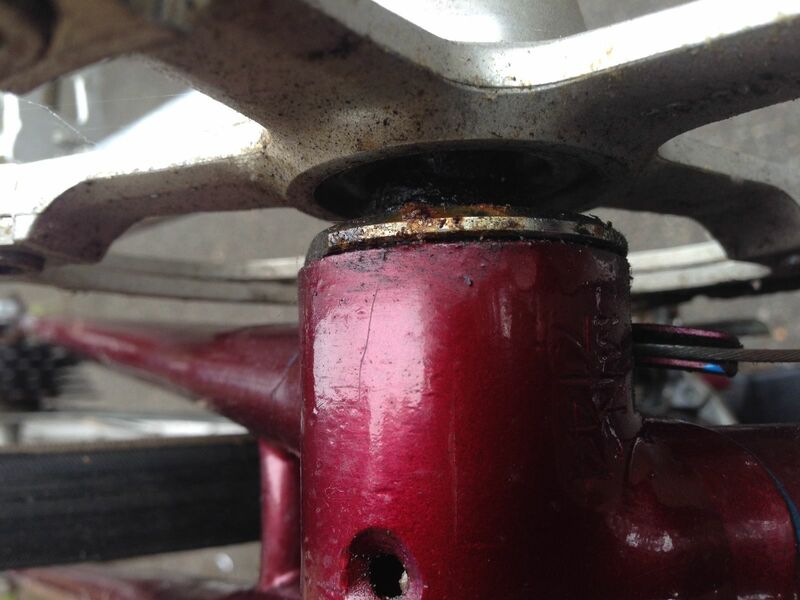 It looks like an Allen Key seat clamp. 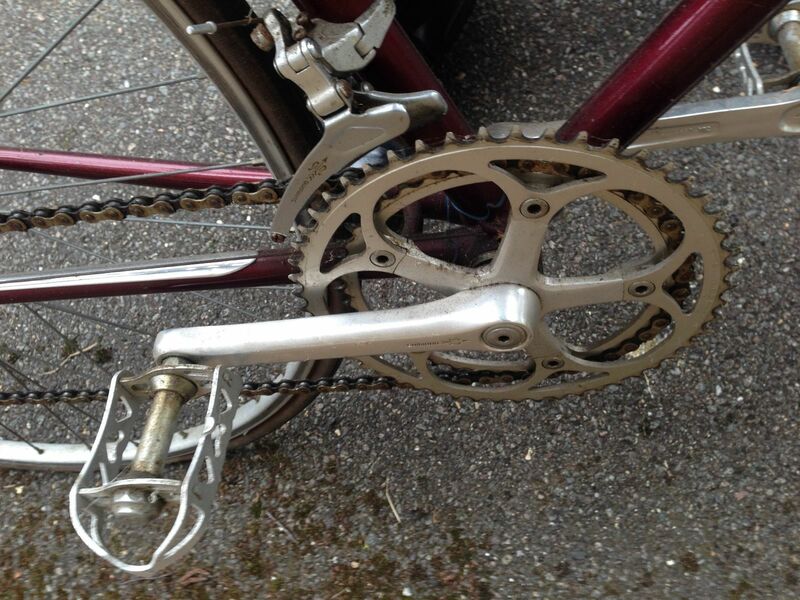 The dropouts look like Campagnolo or Zeus with mudguard eyes. Braze-ons include guides and stops for front and rear derailleurs.Interestingly there are top tube rear brake cable guides which would either be very early or more likely perhaps, added at the time of the refinish when they were in vogue. The refinish in a single colour is in one of his favourites; Ruby Red Flambouyant enamel and he lined the lugs in white and light blue plus the wrapover topeye motif in white . He used the signature transfer on the down tube rather than the normal upper case gothic script. Head and seat tube transfers are for Durban Road as would be expected. 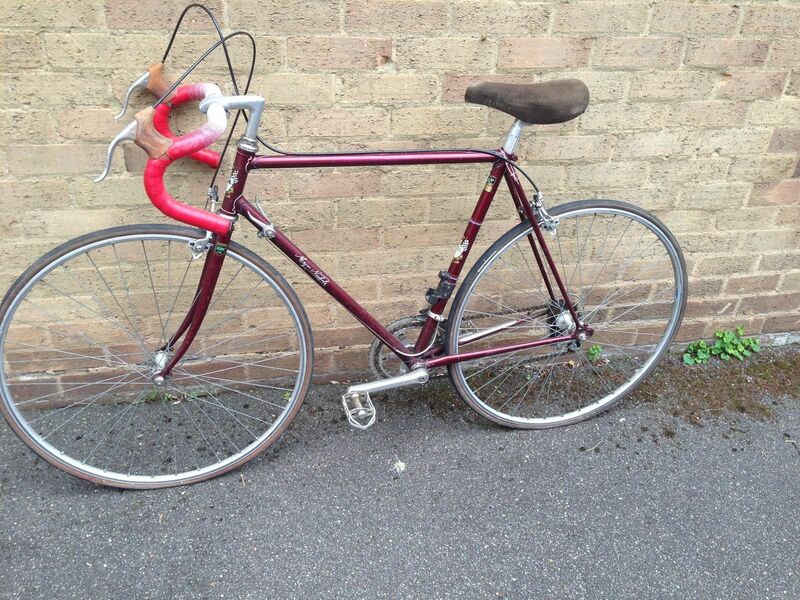 The listing says ‘It has Shimano 105 gears, chain set and brakes from the time of the restoration’. 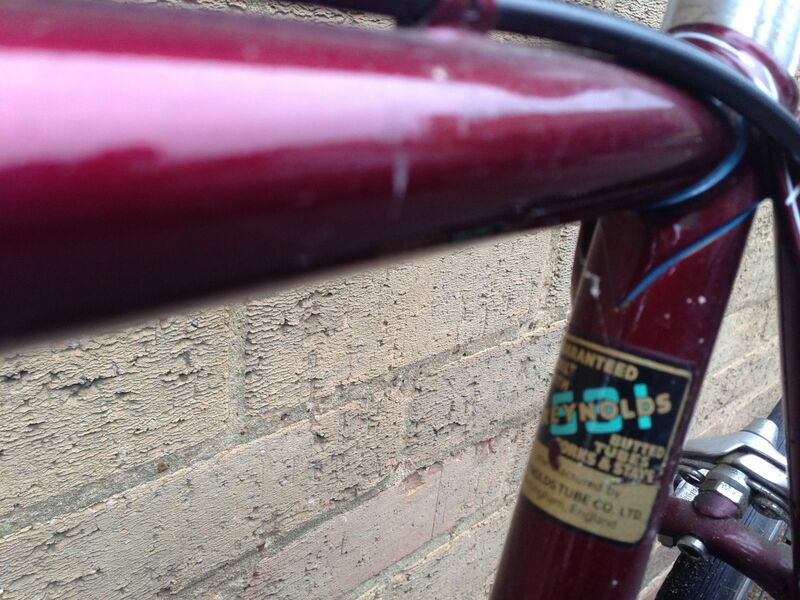 The Shimano components are indeed from the 105 Golden Arrow series from ’83 to ’86 which gives us a time slot for the refinish. There is an Iscaselle ladies saddle on a fluted seatpin.